In the first part of this topic I focused on the mining profession of the village Bessie grew up on and how this related to her male relatives. In this part I will move onto discussing Bessie’s experience of labour as an unpaid skivvy to her affluent Aunt. This wouldn’t be her first exposure to domesticity and housework, however, as she was “unfortunate enough to be the only girl in a family of males, she became nothing but a slave at work, to help her mother.” This could be seen as something to prepare the young girl for either skivvy work as Bessie had been sent to do, or the managing of her own household if she married. Bessie’s recollection of her time working under her Aunt is mostly negative and she does not hold back in explaining to the reader why this is. “The most the wage would be was 7/6d per week and it was work and a little bed even. The hours were cruel. It meant getting up at dawn to blackled the gates, scrub all the huge floors, light innumberable fires, clean dozens of pairs of shoes and carry in coal.” For a thirteen year old girl who was used to the fields of Yorkshire I feel as though this was a considerable change to adapt to. In Rose’s The Intellectual Life of the Working Classes the autobiography of Jean Rennie (b. 1906) depicts a fellow maid telling her “You are not allowed a private life, or soul, in service, and once you’re in, you’ll never get out.” This pessimistic outlook of service life seems to resonate with Bessie’s struggle to possess free time in order express her individuality and the barriers between her and escaping service to visit her family. This depiction is intriguing as it shows that wealth and status within different parts of the family can change family dynamics, changing Bessie’s Aunt to essentially become her Employer. The idea of the family as a community did not seem to apply if that family was of a lower economic status as them. Again, the occupation as Bessie’s father set in stone how she would be treated by her relatives down South. 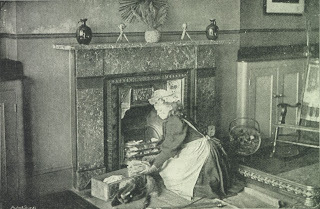 The roles of a household skivvy and the tasks performed by Bessie as a young girl could be compared to what were being done by the farmers and miners back in Yorkshire in terms of physicality. For example, Bessie describes how it was her job to store the cold and dirty vegetables in the barn and serve as her uncle’s “Human packhorse” when he wanted to send his produce to the market. I could imagine her as a young girl becoming incredibly athletic with all the physical work. 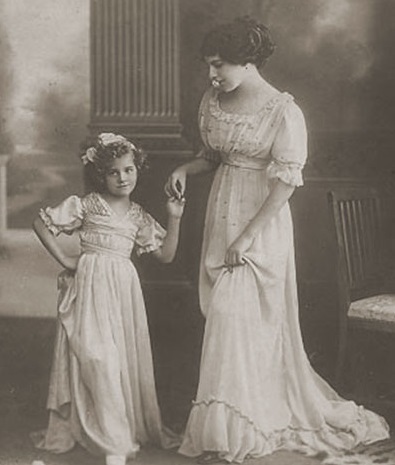 A very different image to the stereotypical picture of a middle class girl who did not have to work and whose chief attributes were flattering dresses and a meek, feminine temperament. Thankfully, unlike a number of young girls forced into unpaid labour, Bessie did escape and she admitted that despite all of her toils, she had become “worldly travelled and experienced” in comparison to her brothers. Furthermore she felt “so much older.” Two years of working as a skivvy, leaving home and taking on more responsibilities had mentally matured her. In her recollections she mused on this, “Was that good or bad?” Looking back on her experiences, Bessie many years later was still unsure whether what she underwent was worth being considered as cultivated and mature. Overall, looking into Bessie’s descriptions of her own personal labours was fascinating as it explored how relatives being from different classes and professions could transform family dynamics, something that ultimately lead to Bessie enduring unpaid labor, costing her a sense of individuality and inciting within her a rebellion against those she called family. Bythell, D. (2006). Leisure and Recreation in a Victorian Mining Community: The Social Economy of Leisure in North-East England, 18201914. The English Historical Review,CXXI(494), 1551-1552. Rose, J. (2001). The Intellectual Life of the British Working Classes.